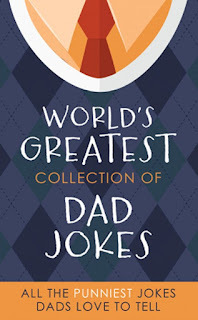 Wonderful book this edition of The World's Greatest Collection of Dad Jokes More Than 500 of the Punniest Jokes Dads Love to Tell by Barbour Publishing. This book will be released on April First, and you will find truly truly hilarious jokes, for all tastes and ages. Some of them pretty known but all of them remarkably funny, there will be a good laugh for all the family. Jokes are organized in sections so that you can find them with great simplicity discovering for every occasion the best joke to tell to your friends or to the rest of your family, for building memories with a laugh or a good smile or for enjoying a special moment of relaxation all together. Many thanks to NetGalley and Barbour for this book.